Collaboration is . . .
a baton-passing relay team, a chamber quartet, a half-time show, Lennon and McCartney, the kitchen at a 5-star restaurant, the 2013 NY Knicks, first responders, a fire brigade, a flash mob, a ballet company, Jobs and Wozniak, a block party, the food chain, a family dinner. Collaboration, the art of working with others, where the sum is greater than the parts, but not always. I offer here some random observations on the topic of collaboration. Those who take pride in telling it like it is, and letting you know that they’re the sort who tell it like it is, and of whom others refer as those who like to tell it like it is, rarely – if ever – like to be told what it’s like. I’m a believer in getting ideas out into the circle of trust, sooner than later, uglier than prettier, richer than poorer. I have faith that the human mind is capable of incredible capacity to absorb and synthesize, and works in those mysterious ways, when people sleep on ideas, and ruminate, both actively and subconsciously. Sow early and often. There’s a lot to think about, individually and collectively, so try not to allot ideas to the culture like it’s a weekly allowance. Get the holistic view out there, uncertain of what’s going to stick and what’s not, and allow the organic magic of the organization to do its thing. And who the heck are you besides, to decide what folks should think about and ultimately are capable of grasping? I heard it once said that creative and collective works need to go through seven iterations to finally arrive at a sufficient level of maturity where one can consider the idea developed. I don’t know if seven is the magic number, but it’s a good rule of thumb. If you are sowing early and often, then you need to adopt this corollary of iteration, and emphasize strongly to your culture that you are an iterating culture. Otherwise you will constantly be explaining yourself to those who perceive your deliverables as less than adequate, not up to par. Let them know that they’re looking at a work-product that is perhaps not even 24 hours old and tell them to just wait until another 2 or 3 good minds in your immediate orbit have opportunity to touch it, to riff on the ideas, and it’s 96 hours old. That way you get the nitpickers off your back, those who have front-row seats in the peanut gallery and serve as the culture’s critics. Do look for critics though, who might be stylistically challenged, but who actually contribute thought-leadership and constructive iteration, despite their best efforts to detract from the value of their own contributions through some irksome trait. Welcome these folks with open arms. Iteration is a fascinating process, part art, part science, a collective journey to the light at the end of the creative and visionary tunnel. In the early 1990s, Apple Fellow Gursharan Sidhu released an internal document on the barriers to collaboration. He discussed these in the context of a new developer stack called the Open Collaboration Environment (OCE), intended to be the end-all, be-all, of enabling protocols and APIs. Sidhu cited the barriers as: language, protocol, location, and asynchronous communications. We need to be talking the same language, perhaps figuratively, more so than literally. Common semantic is important to enable collaboration; common glossary too. Words convey concepts; ill-chosen words, or words misinterpreted, will thwart collaboration. Take time to establish and agree to common verbiage to describe the domain. Style and formality can enable communication and collaboration, especially when interacting with those who expect it. Protocol is the wrapper, the header information that ultimately gets stripped away, leaving behind the payload, the information. Protocol might be required when dealing inter-function, across the ranks, inter-organization, inter-X. Please note that I am talking protocol as it pertains to human communication here, referring to the formalities that certain groups expect, anticipate as de facto, when interacting. I am not speaking here about bits and bytes, and the protocols of computer-speak. It’s gotten much easier today to overcome the barrier of location. There are a number of tools, audio and video, that compress space and create virtual co-location. What is still lacking though, is the ability to create for people, the experience of being in a single room, with large whiteboards and plotter-size printouts on the wall, urns of coffee, trays of bagels, and the excitement of interacting real-time, eye to eye, shoulder to shoulder, sensing the momentum and the firing of communal neurons, as you advance ideas and work-products through the 7 iterations. Talking to someone face to face – synchronous. Email waiting to be read in an inbox – asynchronous. Discussion, even being rude and talking over people, in heated, passionate, but constructive, exchange – synchronous. Email waiting to be read in an inbox – asynchronous. Enough said for now. One last thought about collaboration. Allow time to work its magic. We are sometimes so caught up in fire-drills of our own making. Daily fire-drills, weekly ones, drills that go on for months and quarters, that turn into death marches, of an inertia out of control, seemingly. If we slow down, we’ll lose ground, yet the ground we’re attaining by continuing is slippery foothold. Teams begin to feel a very unnatural state of human condition brought about by the pressure of believing that there is no time to take the time to do things correctly. Many will push back and argue that to do things correctly, while desirable, will just not work, as it will take too much time, and that sort of “over-engineering” is just not acceptable in the company of mavericks like us. Their alternative, while not overtly articulated, but certainly manifest in the behavior, is to continue things as they are, exacerbate the situation, in a perpetual feedback loop that leads to greater and greater stress about Time. So here’s the paradox: take time to immerse yourself in collaborative experiences, to save yourself time. People need time to pore over the possibilities, to explore the angles, to synthesize the dependencies, to resonate with others, to arrive at common visions, to commit to one another, to truly collaborate. Don’t shortchange yourself on this quality time, believing that it’s got to be go-go all the time. Daily wall-to-wall schedules of short bursts of 1-hour, back to back meeting frenzies, where nothing gets done, is not the way to go. Business is not High School. I’m not advocating that you loll around. I’m suggesting that collaboration, and the genius of your culture, require various types of canvas to express themselves. Time is one of those. Ideas arrive, events occur. We record them, synthesize, and communicate; we see, we think, we scribe. Time passes and things temporal become clear, like trends, patterns, relationships. Collectively we seek to make sense of our norms, the group’s standards, our ethic and code, the ways we get things done. We mark symbolic and impermanent tracings in sand, persist time-tested truisms on rock, stamp our understandings on various papyri, and encode our intellectual properties in digital, binary forms. Robust content, rich data, explanatory context, deep relationships and synergies among ideas, causal nexus and correlation, marshaled through blood, bone, and gray matter, and then . . .
Big font. Can you see me in the back? Please fill in the blanks between the bullets above with your own reasoning, inferring what you think I mean to the best of your ability, because I am too lazy as a conveyor of information, to do the right thing by you, my audience. Consider that the average slide in a deck amounts to less text than an average paragraph’s worth of content. Does all of that white-space on a slide really help to isolate a central idea, to focus the audience on the takeaway? Or is it just wasted opportunity to offer the greater amounts of information that the audience is yearning for, to have a meaningful engagement of minds, to incite meaningful conclusions, to enlighten and open the ear to calls for action? You’ve heard this before, haven’t you? But why apologize for bringing more useful information to the table? And why use a slide at all if all it does is constrain the dialogue? Try this: shut down all the projectors in all of the conference rooms for a couple of weeks. No more slide-ware. Ban the bullet; penalize people for every bullet they use in lieu of a cogent and meaningful sentence. Instead, when you gather, just talk about your business, supported by real handouts, tables of real data, and writings of real prose, no bullets. Exchange well crafted and conceived papers, thought leadership from the functions, 2-pagers, back and front, single-spaced. Complement with tables of meaningful data. Get the right folks to pre-read, assimilate, and synthesize the information; assemble and talk. Put things side by side; draw lines between concepts, and models. Get the audience aggressively involved, and not soporifically complacent as a result of having to endure the thin information of your PowerlessPoints. Stop managing the real-estate of your laptop monitor. OK, so you got it all to fit on 1-slide, and you’ve played with the numbers so the spreadsheet foots. So what? Press down on the cover of the machine, toward the keyboard, allowing the hinge at the back to do its thing, until you hear the click; close the machine. Look around at the real world. Get out of the office, raise your head out of the cube, and walk around. Manage the brick and the mortar. Create relationships with people. Evolve common understandings and models through eye contact and handshakes. Whiteboard, brainstorm, noodle the details, get to the Aha!-moments, frequently and regularly. Discontinue the dummy-down. Consider that perhaps more information actually makes it easier to understand a topic. This is business – your business. It brings with it an intrinsic degree of complexity that you will do well to embrace and immerse yourself in. Don’t gloss over it in 36-point Helvetica. In corporate and government bureaucracies, the standard method for making a presentation is to talk about a list of points organized onto slides projected up on the wall. For many years, overhead projectors lit up transparencies, and slide projectors showed high-resolution 35mm slides. Now “slideware” computer programs for presentations are nearly everywhere. Early in the 21st century, several hundred million copies of Microsoft PowerPoint were turning out trillions of slides each year. Alas, slideware often reduces the analytical quality of presentations. In particular, the popular PowerPoint templates (ready-made designs) usually weaken verbal and spatial reasoning, and almost always corrupt statistical analysis. What is the problem with PowerPoint? And how can we improve our presentations? Do you name configuration items, those specific technology components that make up your technical solutions? Do you have a tool, 3rd party or open source, to help with configuration management? Do you package your configuration items as baselines? Do you track change requests? Do you propagate the necessary changes into the configured items, maintaining baseline and version integrity? Do you have people who can objectively audit the configurations? Did you answer NO to any of these questions? If so, you are potentially lacking fundamental control of the product solutions you deliver to your customers. Some examples might help. Imagine a library without the Dewey Decimal System. Publications of all sorts are strewn about the library, no cataloging order, no grouping of subjects, authors’ last names in any sequence, no regard for taxonomy. Think of every tax return you ever filled out, all the receipts and records, jammed into one burgeoning folder, shaken up and tossed to the wind, and the IRS invites you tomorrow to a sit-down audit. How about an automobile pieced together with last years interior, this years exterior, including the recalled components! Consider you are working with an interior decorator on your kitchen and you express interest in the blond cabinets, but she installs the redwood ones, despite your having negotiated and agreed to the change. Maybe you’ve worked all night on your thesis and when you pick up in the morning, you begin to revision the copy from two nights before, losing all the changes, incurring time and angst in the process. Now, let’s look at CM in IT. Hundreds, thousands, of IT workers, at the office, or distributed globally, in the United States, China, India, Mexico, and elsewhere, creating thousands, hundreds of thousands, of technology components: code files, GUI, data, SQL, stored procs, .configs .dat, .java, .jsp, XML, HTML, requirements (business, functional, and non-functional), designs, test cases, test procedures, test data, learning content, all of it going through constant revision, today’s work obsoleting yesterday’s, changes needing to cascade and propagate, related items needing “stapling,” all progressing through the lifecycle, the quality gates, on their way into the customers’ hands. Can you really afford to deny yourself a world-class practice in configuration management? Do you seriously believe that all the necessary versioning, labeling, and baselining, the Dewey Decimal System, is going to somehow miraculously manifest itself? Product quality, brand integrity, and your customer base, are all that you have to lose. Cause and effect. Similarly, no cause, no effect. Sometimes, things are very simple. Don’t be surprised if you cut funding for functions, or reduce focus on practices, or underspend for enabling technology, and as a result, see zero to negative returns for your stunted investment. You have to be in it, to win it. No dedicated talent managers? Don’t expect to experience significant organic growth, or to raise the organization’s competency quotient with fresh external talent. Minimizing your investments in process coaches? Don’t hold your breath then waiting for your delivery lifecycle to take hold with the project teams, or expect your culture to evolve its better practices in a timely and effective way. No funding for environments? You will see constrained schedules and teams clobbering one another as they contend for limited resources to do their testing and integration activities. Skimping on Learning? On Knowledge Management? On automated testing tools? That’s OK. Just forget about professional development, persisting intellectual properties, and rapid regression cycles. Eliminating the sales staff? Watch the sales drop. This New Yorker cartoon is paid for and used under Non-Exclusive license agreement with Condé Nast. Consider that you do not want to align IT goals to your business goals. Just as you do not want to improve the effectiveness of communications between silos. Wouldn’t you rather break down the silos and replace those with a single, cohesive unit? My arm doesn’t align to the trunk of my body; it is a natural and inevitable outgrowth. Similarly, you want IT to grow out of the business, eliminating totally the need for alignment. Let’s take a look at a performance framework known as GOSPA, an acronym for: Goals, Objectives, Strategy, Plans, and Action. It is like Hoshin Planning, a straightforward approach for cascading from strategic to tactic. Simply put: Goals drive Objectives drive Strategy drive Plans drive Action. There are those who advocate aligning IT to the business goals. If we take this literally, IT and business would have the same objectives, strategies, plans, and activities. While this might sound correct to some, consider that this is not a desirable outcome. The Business has its own very specific goals and objectives, inspired by market, regulatory, sense of mission, community, and other factors. Information is critical to support business processes that support these aspirations. The business identifies and seeks to act on strategies for its information. One strategy, a commonplace one, is to leverage Technology in support of information usage. The other is the strategic decision to invest in and support an internal IT organization, and contract with it to provision products and services to meet very specific Objectives. This is where Alignment needs to occur, where IT Goals intersect with Business Strategy. IT Goals, the top of a new GOSPA foodchain, begin with Business Strategy. Perhaps that goal is to be the premiere provider of solutions, products, and services, to enable the business to meet its strategies, objectives, and goals. Or to serve as prime contractor on behalf of the business, for 3rd party technology providers, IT then has its very own objectives, strategies, plans, and actions, to meet their very specific goals. Semantics? Perhaps. But consider that in this model there is no alignment in the way that it is often used in this context, of IT meeting the Business. There are not 2 distinct entities that need reconciliation and a meeting of the minds. Instead, consider a single, organic movement, born of the Business, a natural and inevitable outgrowth, like my arm on the trunk of my body. 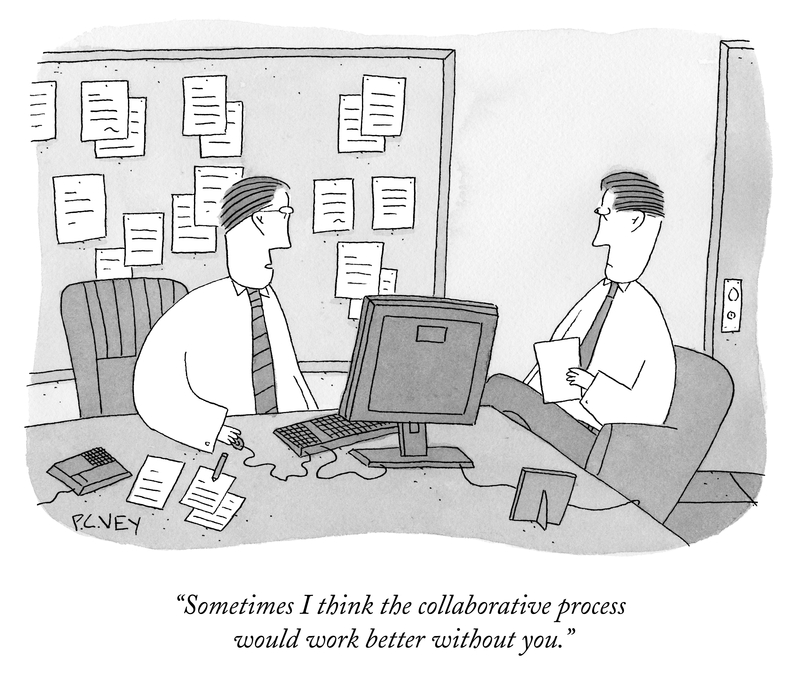 Do you regularly appraise your organization’s processes? Do you identify process improvements? Do you author and carry out process action plans? Did you answer NO to any of these questions? If so, you might be missing an opportunity to bring better practices to bear on your operations. Regular appraisal will give you a timely and recurring view of your process strengths and weaknesses. Consider all sorts of process: financial, technological, quality, talent management, marketing, and others. You can benchmark against your previous performances, and to the industry. Seek to improve in those areas where you do not meet your own expectations. Name your process goals: reduced cycle times, greater quality, higher productivity, increased market, improved brand, whatever your aspiration. Process action plans will list the improvement activities, and will help you to communicate strategy and tactic. Manage these action plans as you would a project or a program. Be certain to take the necessary steps to motivate people and to gain their agreement, along the journey’s way. Folks might ask: why is the consultant here? There are people on the inside who can do it just as good, if not better, but for whatever reason, are not being asked to do so, are going untapped. Responsible Contributor – extra pairs of hands, more human resource to complement our efforts, responsible for specific deliverables under our management. Responsible Leader – someone to orchestrate, manage, lead; an adult who can manage up and down, and sideways, navigate through an event, a project, a program, or one of the other many flavors of initiative we’ve got going. And while the extra hands, personality, and mind, of the 3rd party you’ve brought in, might indeed be an asset, know that there might be some of the Untapped who are potentially seeing it a bit differently. An extra pair of hands can clutter the workbench and cutting boards of proud craftsmen and master chefs. An extra personality can upstage both aspiring and accomplished thespians. And who needs more than our 1 resident guru? Keep your team tapped. Manage your talent. Grow from within by regularly immersing your people in the outside. Be candid in why you’ve had to bring in a 3rd party. Be sensitive to the reasons why you’ve had to do so; these are clues to where you might be lacking in your own capabilities to manage, grow, and empower internal talent.